The ONYX is a sleek, modern countertop cooler available in bottle and point-of-use models. All models have an electronic control center to manage cooler functions. 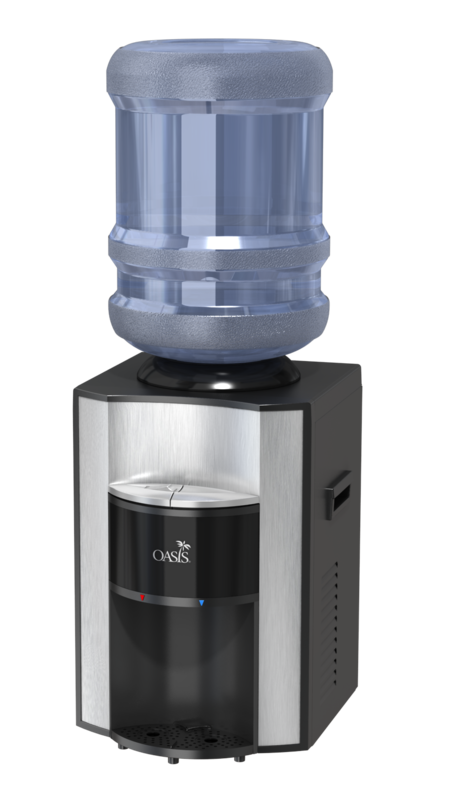 The point-of-use Deluxe and Ultra models come with the OASIS 2-stage green filter system for optimal water filtration. Its stylish, contemporary compact design fits in any decor.